In this enticing edition of Scientia, we cover a range of important research areas, from geology to climatology, and from aeronomy to astronomy. Mitigating disaster is one pressing theme that pervades this edition, and we start off by featuring research devoted to predicting devastating seismic events – earthquakes and volcanic eruptions. Then, the lion’s share of this edition is dedicated to perhaps the greatest disaster humanity will ever experience – anthropogenic climate change. Thousands of scientists across the globe are working to accurately quantify the impact of climate change, so that we can predict and hopefully mitigate its most damaging effects. Here, we feature the work of many research teams, each striving to predict or mitigate the severity of this imminent global disaster. Next, we focus on another danger, which lurks beyond Earth’s atmosphere – space weather. Space weather disturbances, caused by fluctuations in the solar wind, can cause a huge array of problems, such as widespread electricity blackouts and satellite damage. Because of our heavy reliance on satellites for communication, GPS and air traffic control, many scientists are dedicating their efforts to forecasting space weather events. 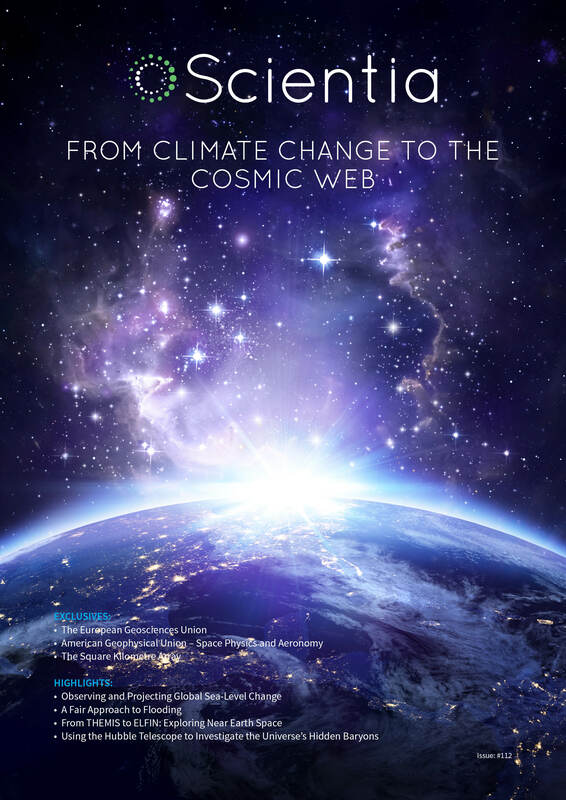 Here we showcase the latest research in this area, and feature an exclusive interview with last year’s president of the AGU’s Space Physics and Aeronomy section. From near-Earth space, we venture deeper into the cosmos, with our final section dedicated to the mind-blowing field of astronomy. Modern research techniques have resulted in our living longer and more comfortably than ever before. In this edition of Scientia, we celebrate some of the many scientists at the forefront of this healthcare revolution. To open the edition, we have had the pleasure of speaking with both co-founders of Soapbox Science – a public outreach platform to promote women scientists and their research. After an introduction to The Sepsis and Critical Illness Research Center at the University of Florida, we become immersed in the world of psychology and neuroscience, where we highlight a diverse array of projects, ranging from improving refugees’ psychological wellbeing to mastering neuronal repair following spinal cord injury. To introduce our next section on respiratory research, we feature an exclusive interview with four division directors of NIH’s NHLBI. In this section, we showcase the work of four research teams, each dedicated to improving the lives of people living with lung conditions. Next up is two research projects that aim to improve lifestyle-related conditions – metabolic disease and food allergies. From here, we move on to highlight the latest in cancer research – from paediatric cancer to chronic lymphocytic leukaemia. Not wanting to restrict the edition to human health, our final section features two projects dedicated to improving the health of our equine allies. In this fascinating edition of Scientia, we celebrate the ways in which cell biology, biochemistry and molecular biology have illuminated our understanding of life on Earth in addition to advancing our healthcare. To open the issue, we have had the pleasure of speaking with Dr Erica Siebrasse of the American Society for Biochemistry and Molecular Biology (ASBMB), who discusses the organisation’s dedication to accelerating research in these fields. Next, we feature an article about the Dresden International Graduate School for Biomedicine and Bioengineering (DIGS-BB) – a PhD training program based at TU Dresden that combines cutting edge research projects with innovative mentoring strategies. Following an interview with our charity partner, Trees for Cities, we then move on to highlight the latest in genetics research. Here we feature eight fascinating projects, ranging from investigating the genes responsible for parenting behaviour, to developing new DNA fingerprinting techniques for ensuring quality in medicinal cannabis production. Next, we showcase the work of three researchers, each dedicated to improving our health into old-age, by investigating the biochemistry behind the ageing process. Our final two sections in the magazine highlight ground-breaking discoveries in the fields of both breast cancer and HIV. By investigating the nuts and bolts of these diseases at the cellular and molecular levels, the scientists behind these projects are opening the door to targeted therapies. 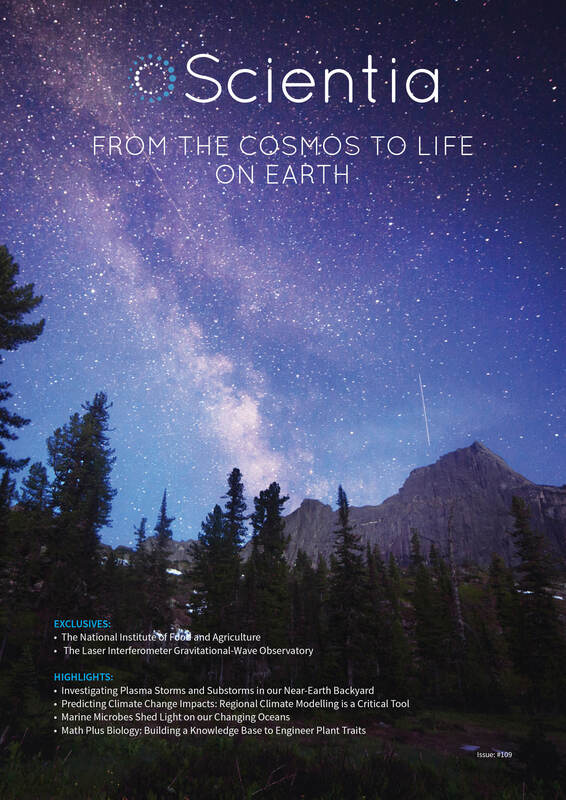 In this fascinating edition of Scientia we explore the latest in earth, environmental and ecological research, with a pinch of cosmology thrown in for good measure. To open the issue, we have had the pleasure of speaking with Dr Kiwamu Izumi, a scientist working at The Laser Interferometer Gravitational-Wave Observatory (LIGO), who tells us all about the observatory’s phenomenal gravitational waves discovery. After showcasing several exciting cosmology and planetary science projects, we focus on the environment of our home planet. With global temperatures and pollution on the rise, dedicating our research efforts to the environment is now more important than ever before. Next, we celebrate the diversity of life on Earth, by discussing several ground-breaking discoveries in the fields of ecology, zoology and evolutionary biology. Our final section in the issue is dedicated to the plant kingdom, where we explore the latest in crop science technology. Here we also introduce Dr Sonny Ramaswamy, the director of the US National Institute of Food and Agriculture (NIFA), in an exclusive interview about the organisation’s activities in working towards a future of sustainable agriculture. Cancer survival rates continue to increase year after year. This trend is driven, in large part, by the breakthroughs made by cancer researchers over the past few decades. These innovations have enormously increased our understanding of how this disease arises and progresses, in addition to improving our diagnostics and offering us a vast array of new therapies. 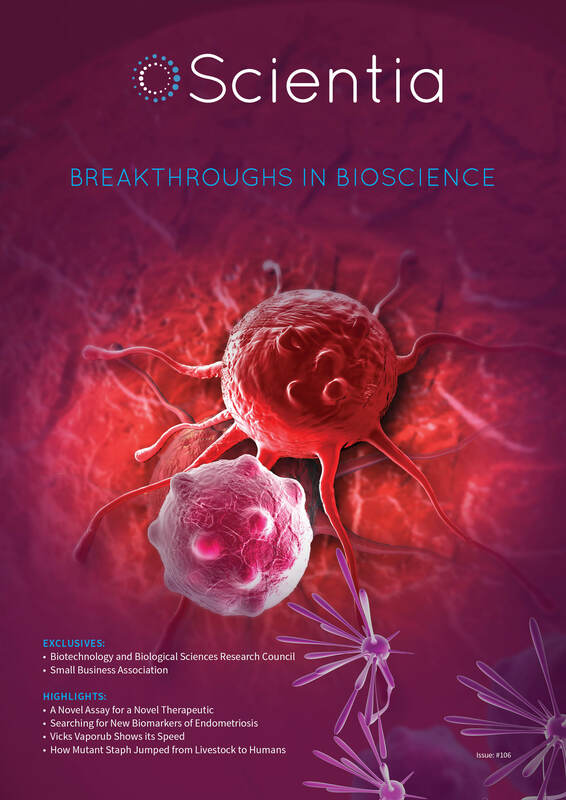 In this edition of Scientia, we applaud the scientists behind these huge leaps and bounds, by showcasing cancer research from across the globe. 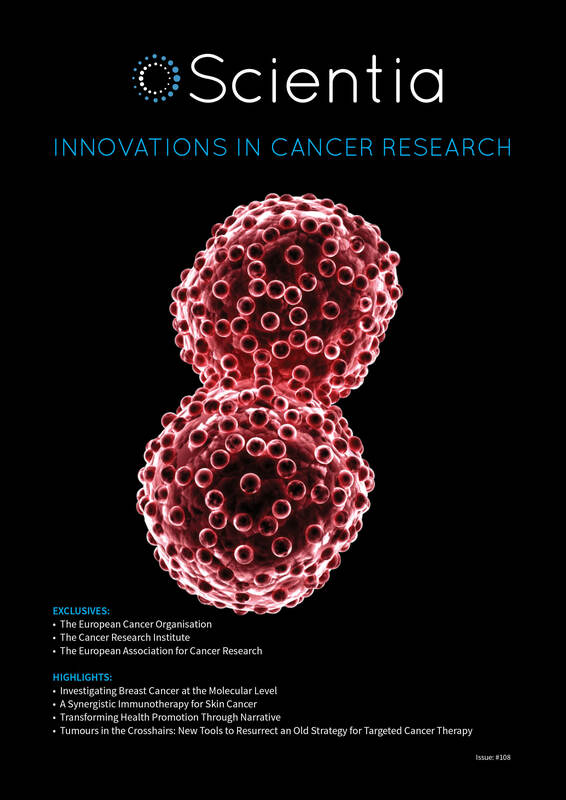 To open the issue, we have had the pleasure of speaking with Professor Peter Naredi, the President of the European Cancer Organisation (ECCO), who tells us about how the organisation collaborates with its member societies to accelerate research, and to ensure that cancer remains at the top of the political agenda in Europe. From here, we feature a wide variety of different research projects, ranging from unravelling the molecular pathways that lead to cancer, to investigating the latest immunotherapies, drug combinations and novel nanotechnologies to combat cancer. The heroic efforts of the scientists behind these studies are bringing us one-step closer to eradicating the terrible blight that is cancer. This edition of Scientia celebrates the diversity of scientific endeavour by showcasing research across three different themes. Each project has a healthcare or biological focus, but this edition is notable for its inclusion of a wide variety of research disciplines from neuroscience through aging to computational biology. We hope this variety will make for an interesting and enlightening read, regardless of your chosen profession. Our healthcare continues to be transformed at an accelerating pace due to breakthroughs in bioscience research. Even in the past 50 years, our life expectancy worldwide has skyrocketed – people born this year can expect to live on average around 15 years longer than those born in 1966. We are enjoying healthier, longer lives as a direct result of scientific advances in vaccines, diagnostics, pharmaceutical and non-pharmaceutical treatments, surgery, nutrition and medical technologies such as drug delivery, medical imaging and radiotherapy. 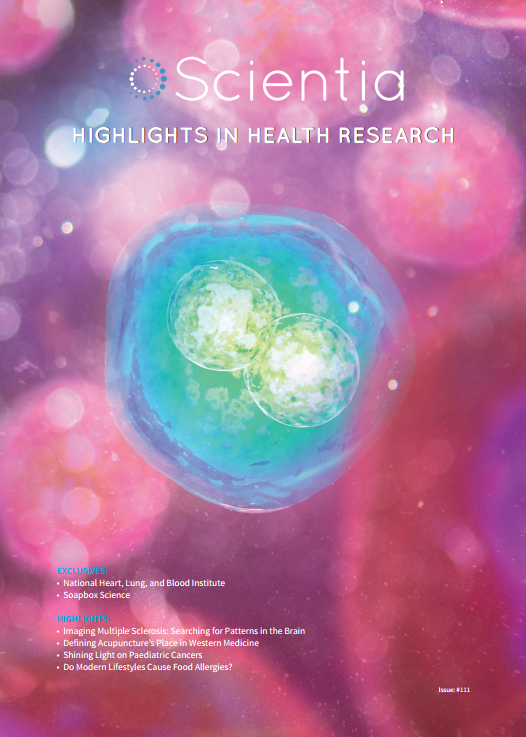 In this edition of Scientia, we pay homage to the scientists behind our ever increasing quality of life by showcasing the latest in biomedical and biological research from around the world. 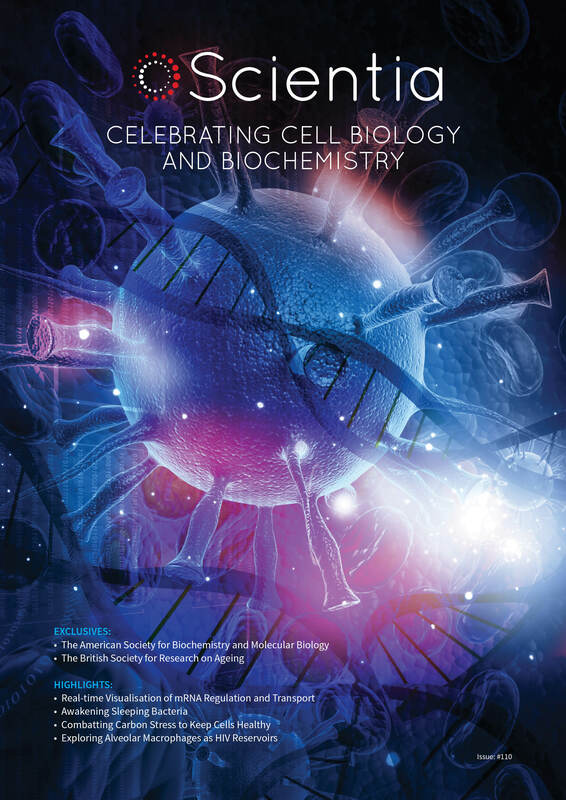 To open the edition, we have had the pleasure of speaking with Professor Melanie Welham, the Interim Chief Executive of the Biotechnology and Biological Sciences Research Council, in an exclusive interview about the BBSRC’s activities in supporting and promoting biological sciences in the UK and further afield. There has never been a more exciting time for physical science and engineering. The last few years have witnessed some of the most ground breaking discoveries ever made, such as proving the existence of the Higgs boson, detecting gravitational waves and imaging the farthest galaxy ever observed. 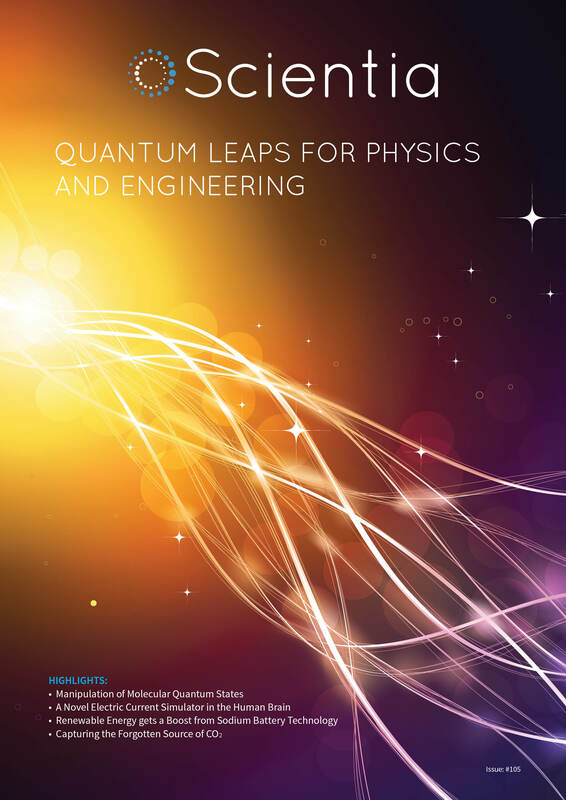 To celebrate these huge leaps for fundamental physics and astronomy, opening this edition we have had the pleasure of speaking to representatives from Fermilab and The European Southern Observatory. 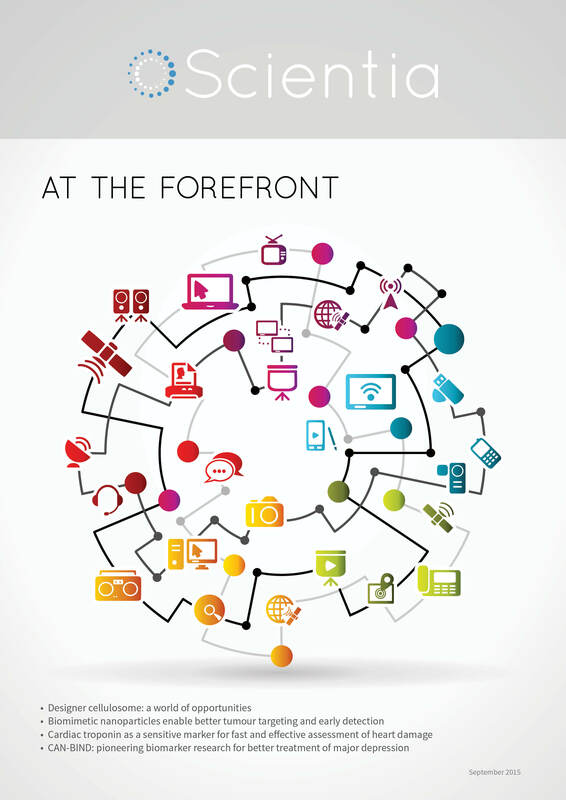 Such fundamental advances have given rise to an abundance of new technologies. 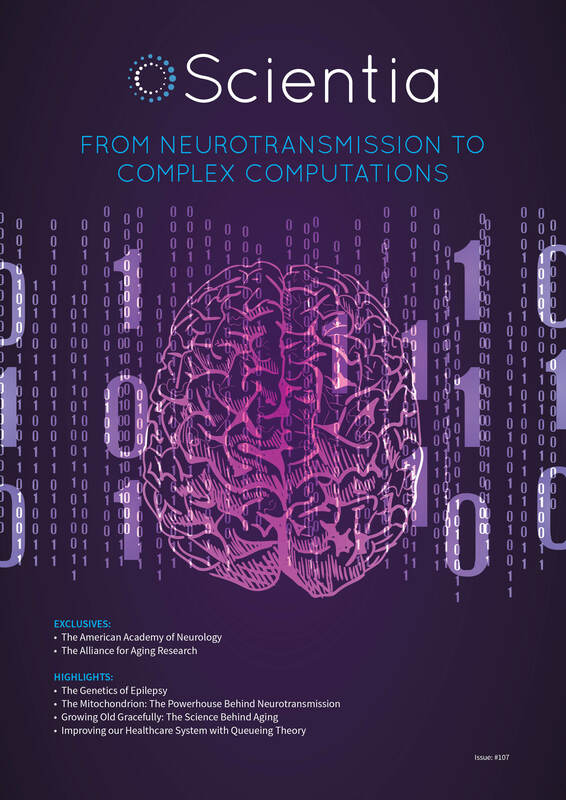 Throughout this edition we introduce the latest in physics and technology research, from developing molecular computing devices to applying mathematics for the analysis of electromagnetic phenomena in the human body. Also in this edition we highlight recent innovations in clean energy research, from nuclear fusion, through storing energy using sodium batteries, to capturing CO2 emissions from industrial boilers. In this edition, we celebrate the latest advances in Earth Science and Ecology. To open this issue, we have had the pleasure of interviewing Vítor Correia, the president of the European Federation of Geologists (EFG), who gives us an overview of the activities of the EFG and its role in geological research and public outreach. 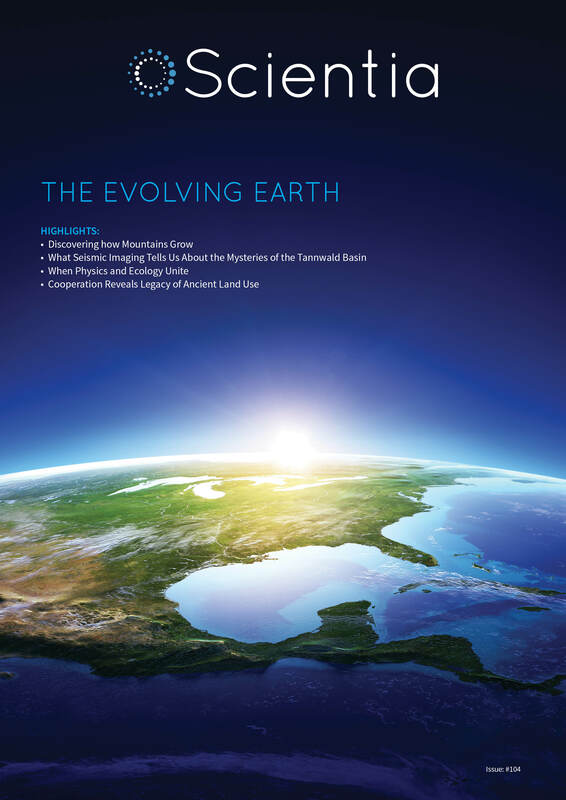 From here we delve into the world of geoscience, where we highlight several intriguing research projects, from uncovering how magnificent continental plateaus are formed, to developing new tools for seismic imaging of the Earth’s interior. In the second half of the issue, we highlight the latest discoveries in the diverse world of ecology, from exploring how mathematical modelling can be used to investigate the resilience of ecosystems, to investigating how land usage of the ancient Maya people has affected the environment and our use of land today. In this edition we celebrate the increasingly diverse and interdisciplinary nature of the life sciences. The life sciences now encompass a wide array of disciplines and scientists are coming to understand the value of interdisciplinary cross-collaboration, leading to maximised outputs, paradigm shifts and the pooling of expertise. 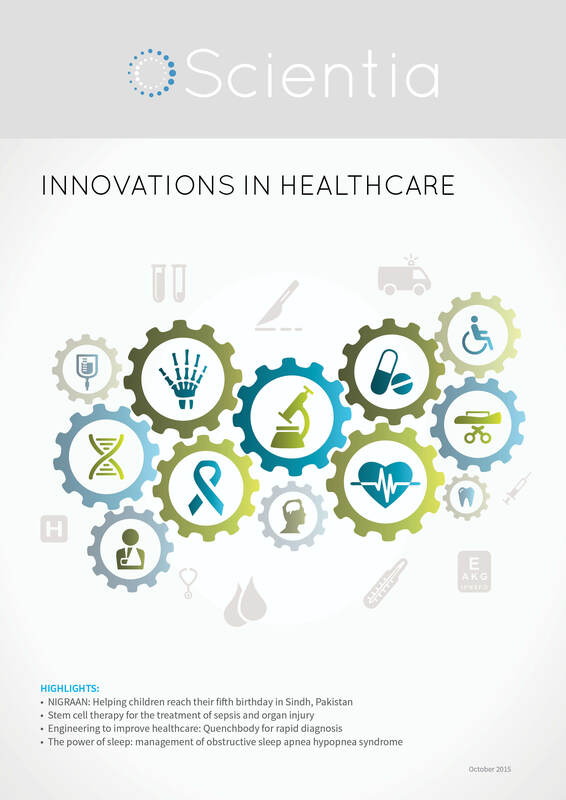 Our healthcare system depends and thrives on innovations, both old and new. Indeed, medical equipment that one can find in any doctor’s office, a stethoscope, was once a revolutionary innovation that we now routinely use to do simple, yet critical tasks such as measuring blood pressure and listening to normal/abnormal noises of the heart and lungs. In this edition we celebrate the increasingly diverse and interdisciplinary nature of the life sciences. The life sciences now encompass a wide array of disciplines and scientists are coming to understand the value of interdisciplinary cross-collaboration, leading to maximised outputs, paradigm shifts and the pooling of expertise. 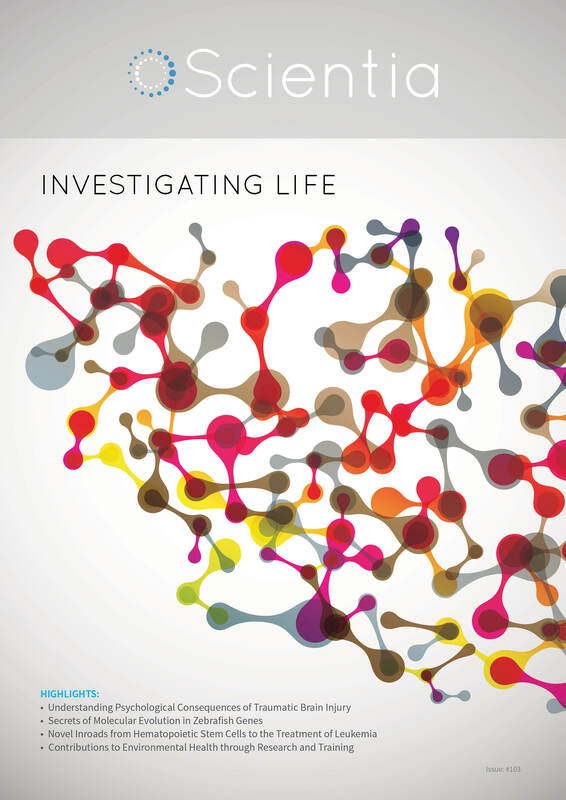 In this edition, we showcase a variety of life science research from a diverse array of fields and demonstrate that scientists increasingly blur the lines between disciplines, with encouraging results.